It is a great pleasure for me to address this important Forum on a topic. The promotion of the rights of women and girls is a long-term priority for Finland. We consistently make policy choices to advance these rights and to empower women and girls - be it globally, regionally or nationally. For Finland, equality of women is a key success factor of our own society. It is essential to harness the potential of the whole society and not only half of it. For us, women’s rights are instrumental to economic growth and well-being. In a historical perspective, it stems for a necessity, since our development path has been quite a challenging one. When Finland became independent in 1917, Finland was a poor and conflict-torn society, and only one and a half months after the declaration of independence a civil war broke out. Also the second World War, with so called Winter War and Continuation War, meant heavy losses for us. These war time experiences have meant that women have been forced to bear responsibility when men have been at war. Finland was the first country in the world to grant full political rights to women in 1906. The role of women in our own democratization and reconciliation processes in the early 20th century has been pivotal. In Finland, equality is very much based on the high participation of women in working life. Currently, 49 percent of the work force are women, and almost all women work full time. This is possible due to our social security system. There is one important Finnish social innovation that has contributed to women’s equality, and that is a free warm school meal . It was introduced already in 1948, seventy years ago. Also an affordable day care for children plays a key role. At the moment, out of Members of Parliament, 42 per cent are women, whereas globally roughly 23,8 % of parliamentarians are women. Out of ambassadors, 44 per cent are women. We have female ambassadors in Berlin, Brussels (EU), London and Washington, but also in places like Kabul we have had a female ambassador. I want to remind that Finland ranks third in the GGG [Global Gender Gap] Index of the World Economic Forum. Women, peace and security is one of our foreign policy priorities. The linkage between women’s empowerment and peace and security is at the core of the Women, peace and security agenda. When societies achieve higher levels of equality they are less susceptible to armed conflict. When women are included in peace processes, peace agreements are more likely to be reached and more likely to last. The prime focus of the Women, peace and security –agenda is to increase the participation and leadership of women and to have this taken into account in all questions of peace and security. Finland’s third National Action Plan on Women, Peace and Security was launched earlier this year and it shows our strong commitment to the 1325-agenda. What we need to achieve is practical concrete action. To ensure women’s meaningful participation in all stages of peace processes we need high-level engagement. To make real progress it is also necessary to strengthen partnerships between governments and civil society. We need to accelerate our actions in view of the upcoming 20th anniversary of Women, Peace and Security resolution in 2020. One thing where we need more women is mediation in order to make peace building efforts more durable. This is one of my priorities and I have also nominated Mrs Jutta Urpilainen, MP, as my Special Representative on mediation focusing on Africa. Furthermore, I would like to raise one particular issue. There has been a steady increase in the radicalization and recruitment of young girls and women by terrorists. Radicalization poses an enormous threat to women and girls because not only does it limit their aspirations, it also directly limits their daily life. Women are often highly influential in families, communities and governments. Hence their proactive participation in counter-terrorism effort can effect positive change. In its multilateral decision making, Finland highlights women’s rights, leadership and opportunities. These priorities get reflected when we are taking part in deciding on international treaties, resolutions or any other mechanisms guiding our joint efforts to deal with global issues. This guides also our decisions on funding. We have also nominated and supported the appointment of women to senior positions at the UN and regional organizations. Unfortunately, the Nordic paradox is, that despite the progress we have made through legislation and policies, women still face stereotypes in the society. They influence the choices that girls make for example in their education and when choosing their occupation. It is also essential that everyone in society, including men and boys, become involved in taking action. Finland has been for a long time a firm supporter of the Council of Europe’s efforts to promote equality. We have supported especially the important work regarding elimination of violence against women. The Council of Europe is actually the only international organization that has a convention on preventing violence against women, the Istanbul Convention. 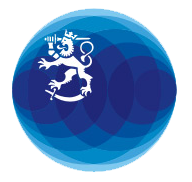 Finland has been a staunch promoter of the Convention. As a practical example of this, we provided voluntary funding to the Council of Europe’s work to prevent violence against women. We also have seconded staff in the relevant unit in Strasbourg and in Kiev’s field office. Equality and women’s rights is an important theme to acknowledge in other sectors as well. As an example of this, for many years Finland has supported the Roma women’s and girls’ rights as part of the Council of Europe’s work in this area. Finally, a few words about our presidency. The program of the presidency will be published later today. Women’s rights are very strongly in the program as one of our priorities. Our presidency program includes conferences on this theme next spring in Helsinki. In addition to these we will organize a CSW [Comission on the Status of Women] side event at the UN together with the Council of Europe’s secretariat.